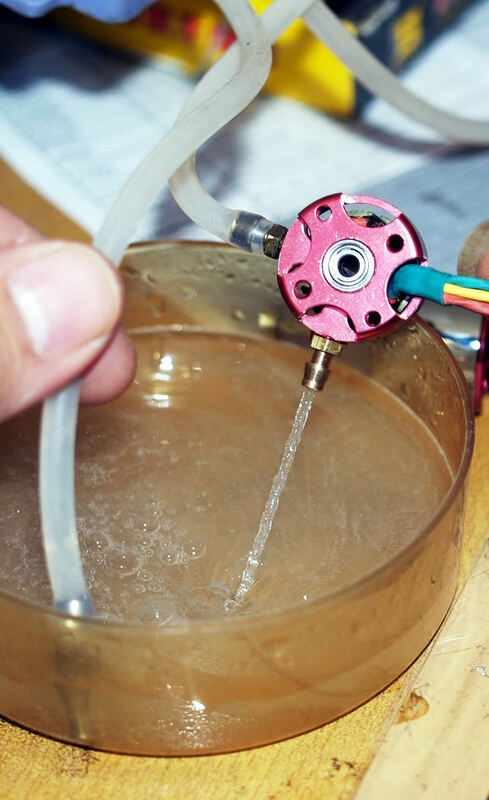 Breaking through the traditional cooling way. 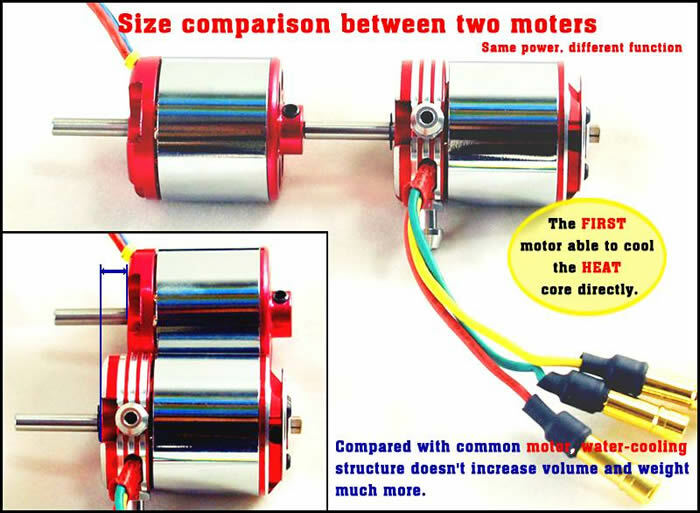 The cool water contacts with heat source of the motor directly, not to increase motor dimension at the same time. 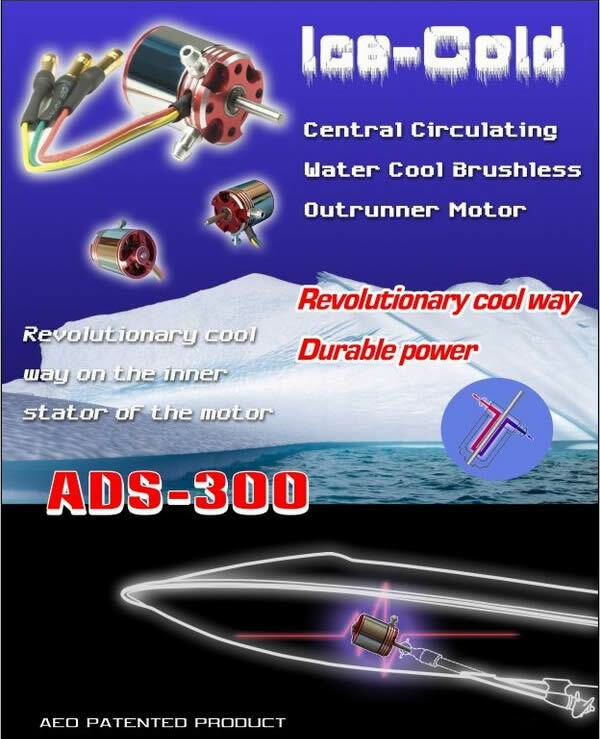 Ultra-high heat sink efficiency, making it life longer by the water cooling circle in the center of the motor. 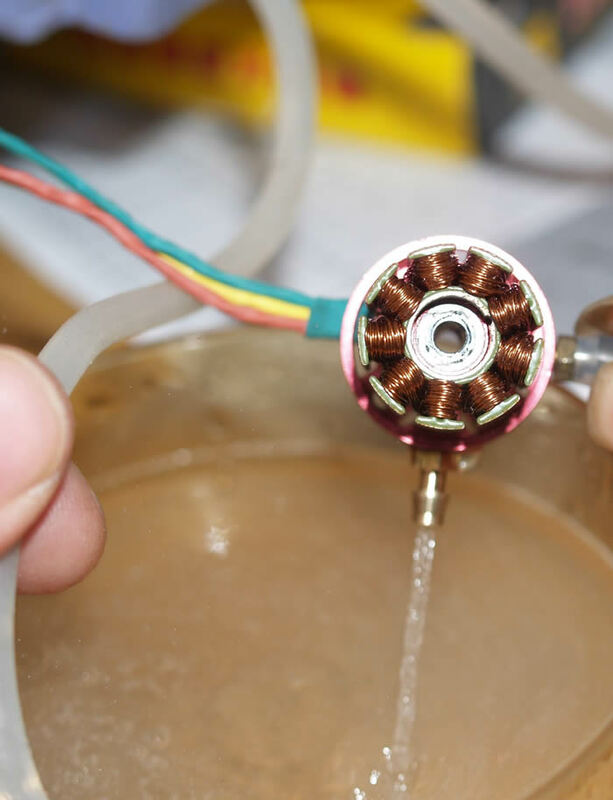 Traditionally, there is a special cooling area in the front of motor. 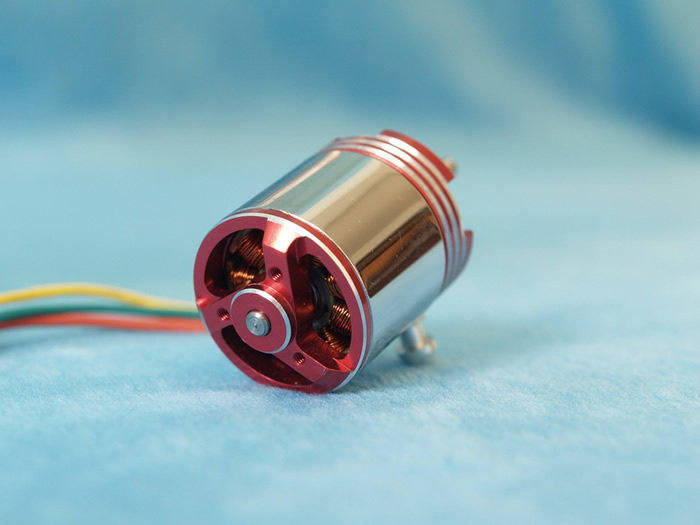 AEO cooling way called "Center pillar cooling". The cool water circles in the center pillar to get away the heat. 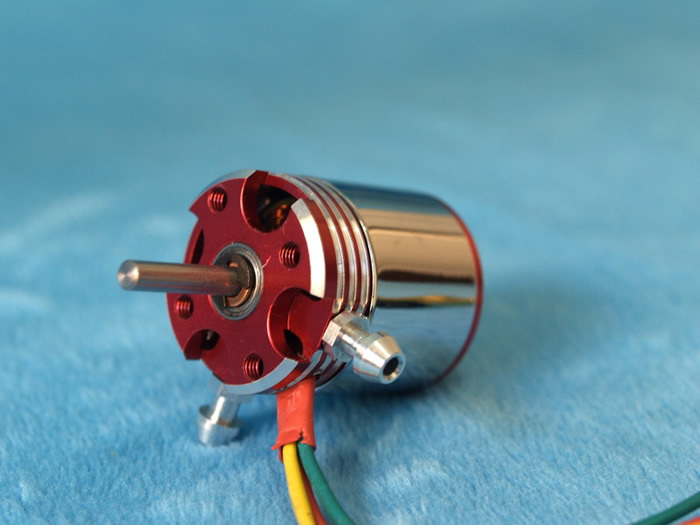 This motor can be easier to keep cool because of the special design: water comes through not only the top but also the middle (center pole) of the motor.